CHARLOTTE, NC (August 14, 2018) – Equipment and accounts receivable finance company, Commercial Credit, Inc. (CCI), parent company of Commercial Credit Group Inc. (CCG) and Commercial Funding Inc., has made the inaugural Middle Market Leaders list for the Charlotte region. Commercial Credit, Inc. was one of two financial services companies recognized and the only financial services company specifically focused on the business-to-business market. 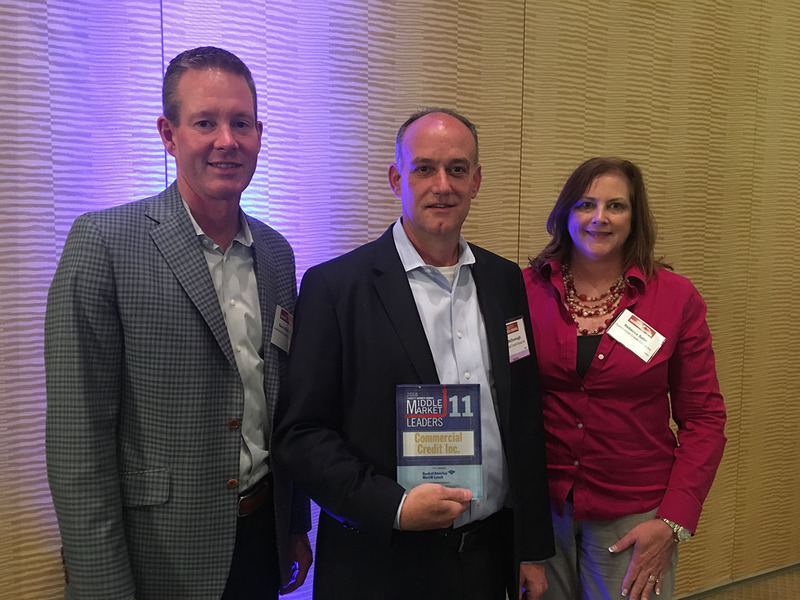 The seventeen companies were recognized at a dinner event, hosted by the Charlotte Business Journal, on August 9, 2018 and will be featured in the August 17, 2018 issue of the Charlotte Business Journal.